Daniel Flinn brings to Flinn Ferguson Corporate Real Estate 22 years of consulting, analysis, marketing, and negotiations experience. This experience has been gained through long term relationships with corporate clients with whom we have formal alliances. This includes preliminary analysis of client’s needs, market summaries, financial analysis, and complex lease and or purchase negotiations. 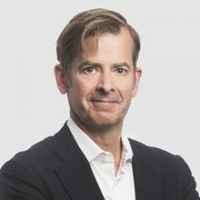 Since co-founding in 1995, Flinn Ferguson has grown to become one of the most active tenant representation firms in the Northwest, representing prominent firms such as Symetra, Wells Fargo Bank, Google, Adobe, and IngDirect. Dan received his Bachelor of Arts degree, from the School of Architecture at the University of Washington, after participating in the Architecture in Rome program.